There are many topics which are of interest to employers but the current trends in the courts and issues which have been raised through technical assistance calls indicate that "Leave as an accommodation" and "Pre-Employment Testing" are of particular interest to many. Recently courts are beginning to address this issue and employers are beginning to re-examine their testing practices. Join us for this session as we explore the issues around pre-employment testing and exactly what constitutes a permissible "test" and what the "gray" areas of testing are under the ADA. In addition, this session will explore "leave as an accommodation" and clarify how "leave" applies under the ADA for qualified employees. 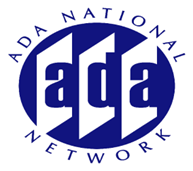 The interplay between FMLA and the ADA will be discussed.